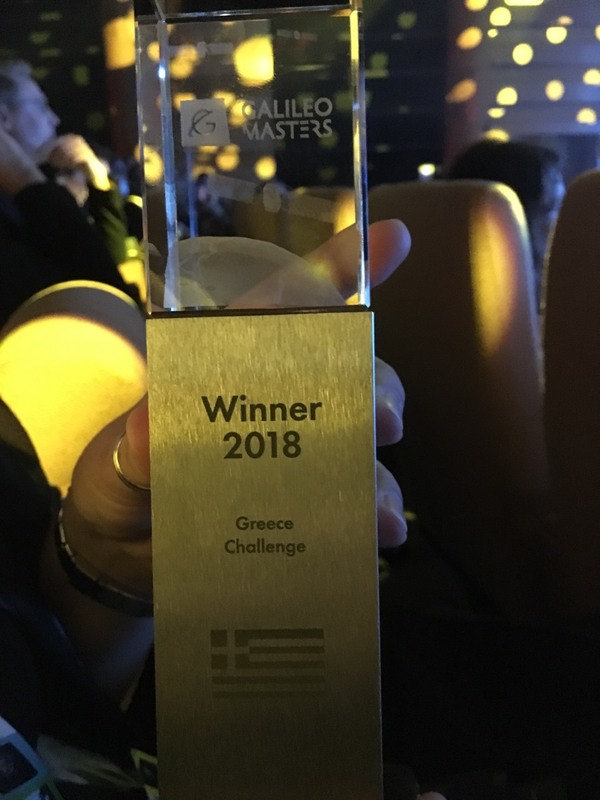 Geosysta winning the Greece Challenge for ReTiMoS landslide monitor system, in the ESNC 2018! Geosysta participated in the European Satellite Navigation Competition (ESNC) with the idea: “Real time monitoring of slopes and landslides with low cost GNSS receivers (ReTiMoS)” and was the Regional Winner of Greece. Geosysta’s real time, cloud-based software Minefeed produces reliable storage, evaluation and alerts for slope stability monitoring based on records captured by topographic and geotechnical instruments. Geosysta has designed a system for real-time monitoring of slopes and landslides – ReTiMoS. This system can be used by the mining sector, highway operators and local authorities without significant experience in the field of slope stability to address the safely issue of upcoming or imminent landslides. 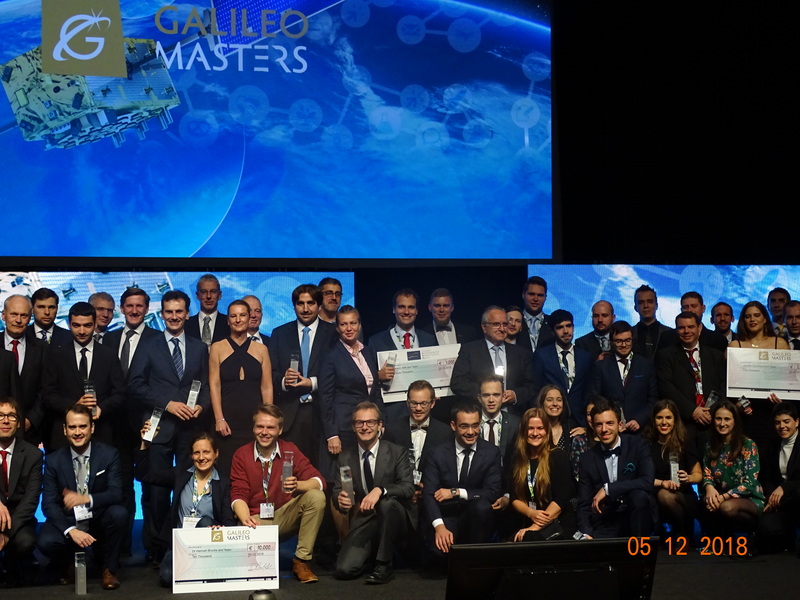 Geosysta’s idea was also one of the top 10 and she was invited to another very exclusive event as well, the E-GNSS Accelerator Bootcamp which took place on 04 Dec in Marseille, France. The Awards Ceremony was held on 4th of December at the Palais du Pharo in the heart of Marseille, France, before an audience of about 600 invited guests. 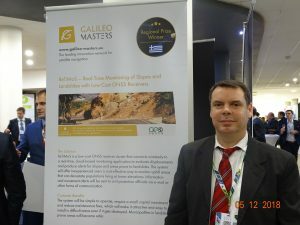 The award received on behalf of the whole team, Mr. Chrysanthos Steiakakis, Civil and Mining Engineer, MSc, Co – Founder and CEO of Geosysta. Special thanks goes to the Technical University of Crete and especially to Dr. Panagiotis Partsinevelos who is also an expert of the Galileo Masters, for their guidance, contribution and expertise. How difficult is to evaluate superficial landslides – mudflows? 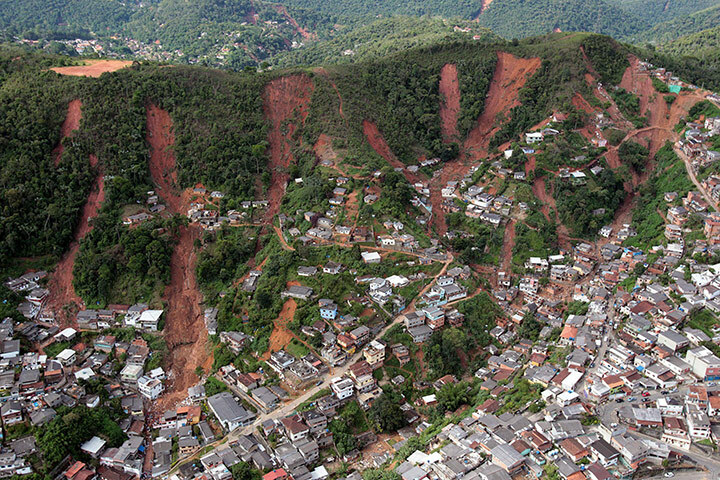 Reading on the news about the dramatic landslide-mudflows (picture) that occurred (again) in Petropolis near Rio de Janeiro, with significant fatalities, one thinks could this have been predicted and more so avert it? 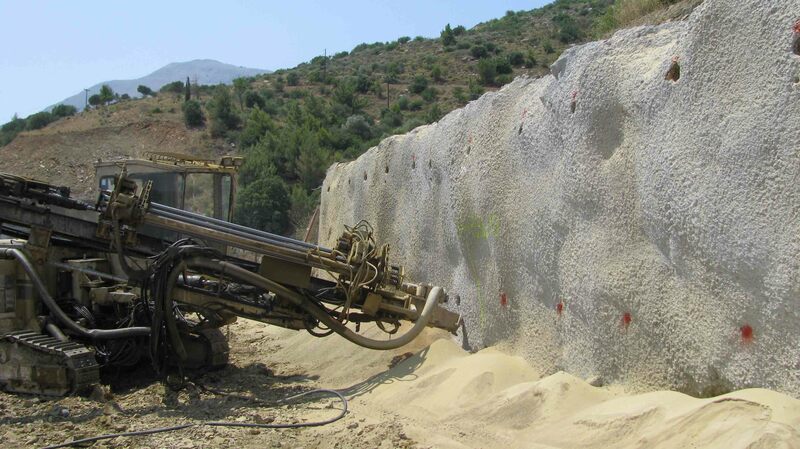 It is difficult to assess the geotechnical parameters of a superficial material that undergoes continuous drying and wetting cycles. The tests are usually performed in saturated samples and in higher effective stresses that are usually present in superficial slides. A linear Mohr – Coulomb failure criterion is used when it may be more appropriate to use a power function that defines a curved strength envelope with minimum or even zero effective cohesion in very low to zero confinement (especially for uncemented soils). The soil is usually unsaturated with some (or even large) suction which is modified during rainfall infiltration. The pore pressure regime is very difficult to assess without continuous specific monitoring. Numerical techniques that can accommodate such complex problems are not widely available and not everybody knows how to use efficiently such models. The usual triggering mechanism is intense rainfall which increases the pore pressures in the superficial soil. Since the way water infiltrates in the unsaturated soil, depends mostly on permeability, water content at the time of rainfall, the vegetation cover and the angle of the slope, the problem of evaluating such pore pressures becomes even more difficult. This problem of predicting mudflows is usually assessed based on prior experience and some statistical evaluation of past mudflows and amount and intensity of rainfall. Can we do better? Unstable soil, rock or combination of both materials, manifests in a land sliding mass when the driving forces are higher than the resisting forces. In essence a landslide forms when the shear strength providing the resisting force becomes smaller than the driving force which may be a combination of weight, external load etc. The usual conditions that trigger a landslide are the increase in water pressure which lead in a reduction of effective stress and shear strength. The water or pore pressures increase when heavy or prolonged rainfall occurs or when snowmelt takes place. Unfortunately these conditions cannot be controlled and a long term prediction is not possible (rainfall prediction is of a couple of days at most and the magnitude (mm/day) not easily evaluated beforehand). Water seeps in the soil/rock mass and can increase the external pressure on the backside of an unstable mass (especially in rock slopes), can increase the pore pressures in the sliding surface, and can increase the weight of the soil mass. If we look at landslides from the earth’s perspective we can define them as a condition towards stress relaxation and minimization of potential energy. The earth is trying to come to equilibrium. 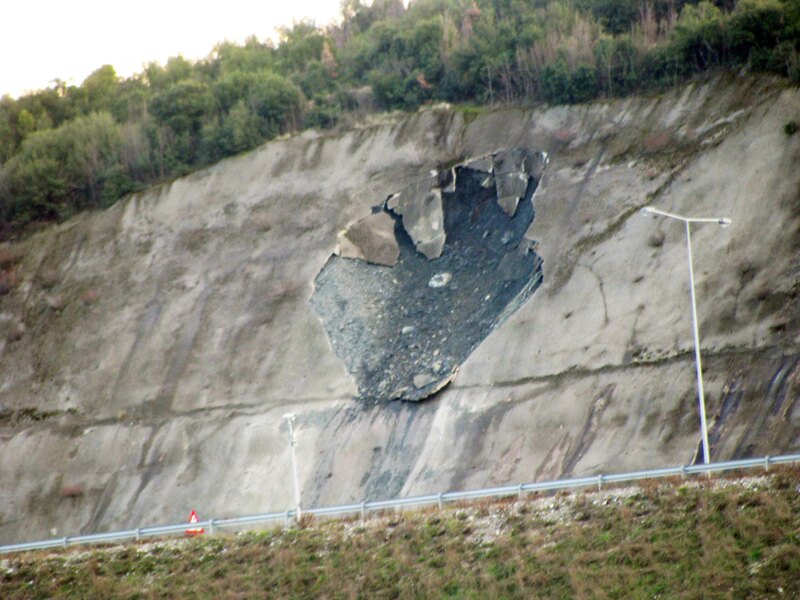 Landslides are formed either from natural conditions such as erosion of slope toe, geological uplifting etc or are manmade when extensive excavation or loading is taking place in the foot or the top of a slope respectively. These are the main reasons why landslides form but the triggering mechanisms for a landslide to occur may be different. In my opinion the most important triggering factor for a landslide to occur is the modification of groundwater or pore pressure conditions. This issue becomes more important if we consider the climate change which is producing different rainfall conditions with abrupt changes on ground water conditions. Due to weather pattern changes, ancient, dormant or newly formed landslides will start to occur all and all more frequently. This will affect the economies and life worldwide and is something that needs to be addressed not only from geotechnical engineers and geologists but also by government officials, politicians and decision makers in general. 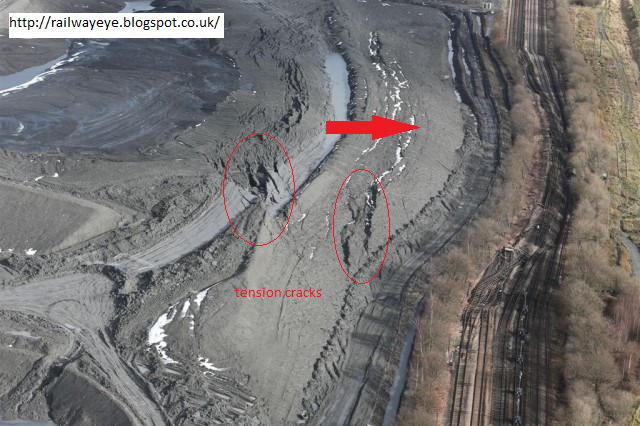 People interested in geotechnical engineering are watching closely the colliery landslide at Hatfield Stainforth, in Northern England that is still in progress. Since February 13nth reports and photos on the landslide’s progress are coming in. Thanks to Prof. Dave Petley’s (Durham University UK) landslide blog, the info and the photographs are really spectacular. According to his first estimation the size and the geometry of the toe bulge suggest a bearing capacity failure. The very wet weather of last few months, triggered the landslide with a rotational geometry. Due to the size of landslide mass, stabilization will be highly difficult. The railway line is expected to be closed for some time. In these cases where the amount of soil mass is prohibiting, it might be better to wait for the landslide system to find progressively its own balance, before intervening with further stabilization measures.